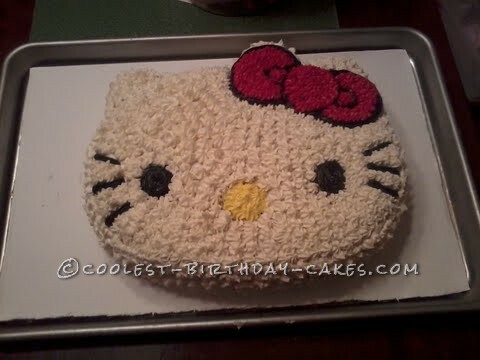 This Hello Kitty Birthday cake is by far was one of the most easiest and favorite cakes I have ever made! Used the Hello Kitty Wilton Pan. Made it for my sister and my daughter’s birthdays that are 2 days apart and both love Hello Kitty – they loved it! I used a homemade butter cream icing and a white cake mix. I followed the baking instructions that came with the cake pan. Enjoy!